They feature all the benefits of the SZH range but with 50% more power, gaining only 70mm extra length on the SZHS/SZHR models. The Z-drive gearbox can be configured to give greater engine clearance. With the manual engage and trip mechanism and detachable crank wind, the operator can choose exactly how the spring starter operates, even using it to turn the engine over slowly for inspection. As with all Kineteco spring starters, the SZH+ series bolts directly into the standard starter pocket on the engine. Given the correct engine configuration, all the electrics can be dispensed with. Fitting takes a matter of minutes, and operation of the spring starter does not require any special skill or strength. Unlike a directly hand-cranked engine, time can be taken to wind the starter, which can then be tripped when ready. 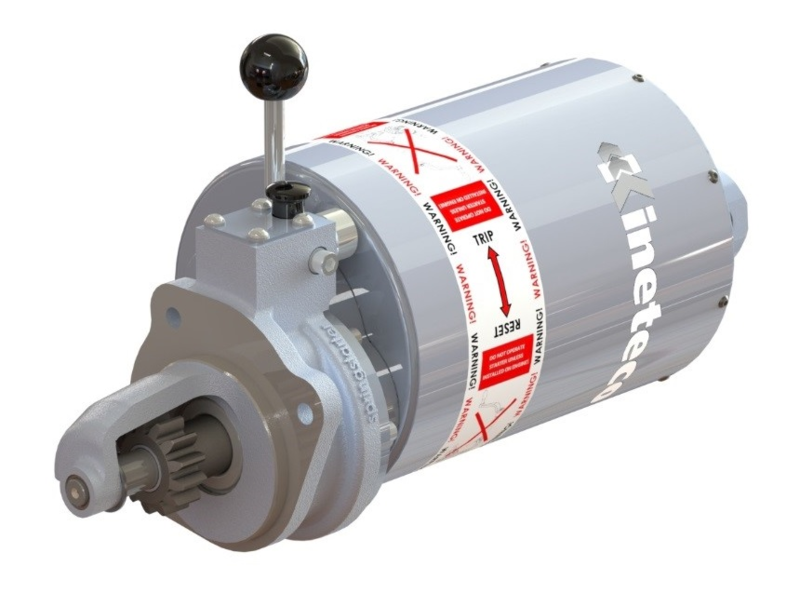 Marine, flame-proof and E-pack dual start options are available ensuring Kineteco SZH+ spring starters can be configured to meet customers’ exact requirements. New engine applications are constantly being developed. For engines not listed, please contact us.